Keeping Flies Off Your Picnic Table! But, how can you suspend a plastic bag of water over your picnic table? You can’t. 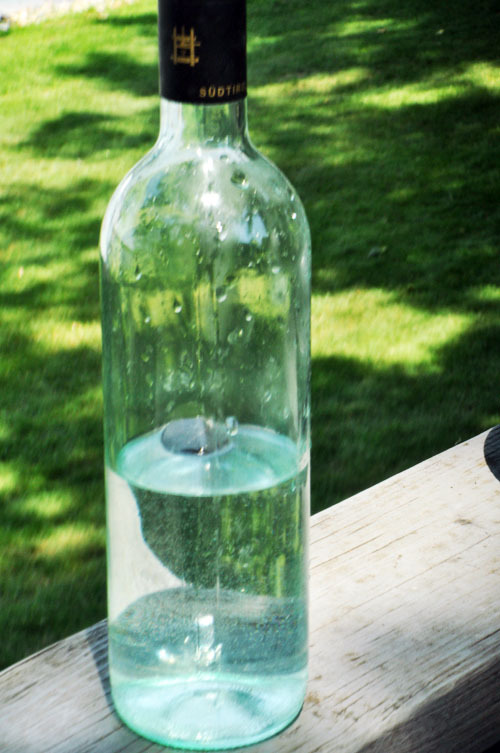 That’s why you simply need a clear glass jar — anything will work — but empty wine bottles are nice to use. 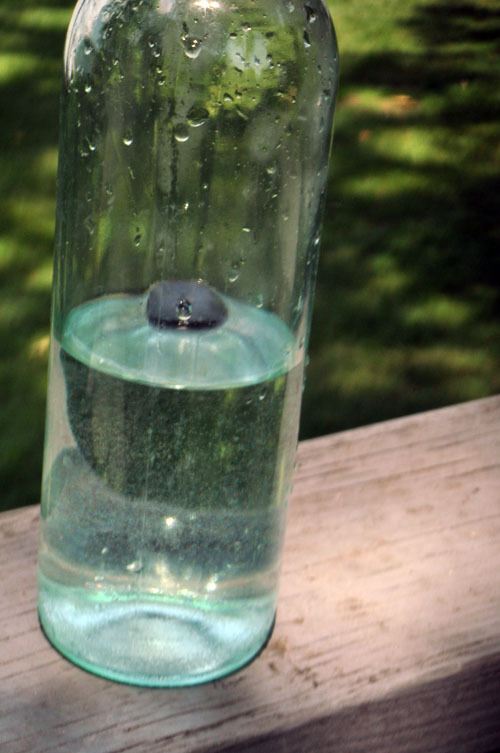 Fill your bottle halfway with water, then add something that will float. A penny sinks right to the bottom of the jar, so you need something dark, that will float. 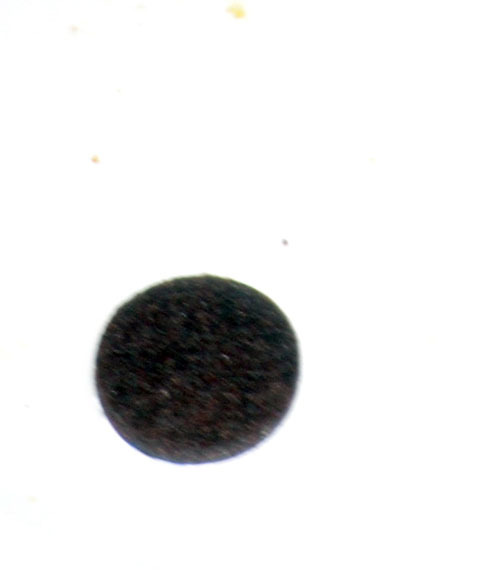 The felt circles that you stick on the bottom of chair legs float — so, I dropped one of those into the jar with water, and voila! A floating fly deterrent! And, it looks great on the picnic table. You can leave it sit out all the time, always working as a barrier for those pesky flies! I will admit, that there are times, when the food we have on our picnic table is far too great of a temptation for the flies. That’s when we have steak. When there is steak on the table, cover your plates, because the flies zoom in, trying their best to avoid their “predator” the glass jar, by trying to sneak up under the table. The flies are relentless when there is steak on our plates, and are quite willing to risk life and limb to get to that steak! So, just eat fast. 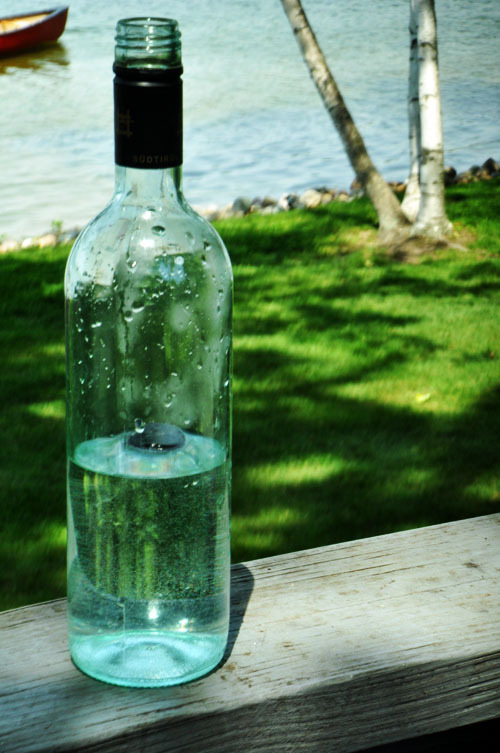 Try moving your wine bottle around to shoo them away… and just deal with it, for just that one meal. Is that all you can think about at a time like this?